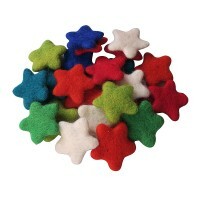 Buy Nepali eco-friendly 100% wool Nepalese handmade felt ball (tiny size to large size) and many different size felt ball rugs, light weight trimmed decorative felt balls (tie-dye felt balls), felt stars and felt hearts are offered in more than 40 azo-free colors. 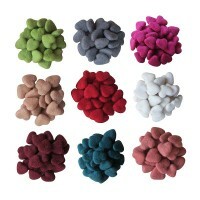 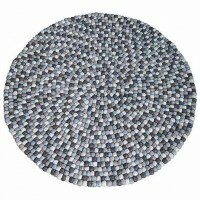 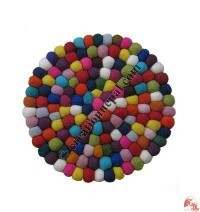 You can find the selection of the balls and beautiful felt rugs, felt mats made of different size balls balls online. 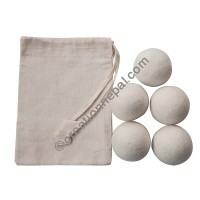 Nepal's woolen felt balls or felt pompom are very popular to produce different styles of decorative felt crafts and beautiful felt accessories. 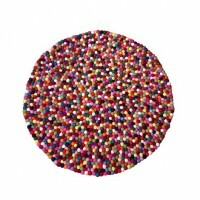 Whether you want to decorate your bags, make flowers, ear rings, key rings, necklaces or bracelets, felt beads or felt balls are the key products. 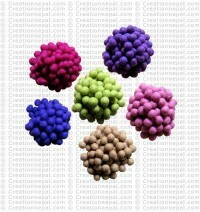 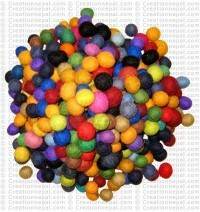 We provide different sizes (measured approximately diameter in centimeters) and color balls at very competitive prices. 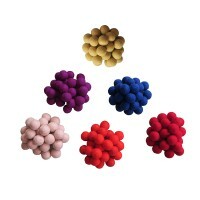 The felted woolen balls we offer are entirely hand made using our traditional technology (hot water and washing soaps). 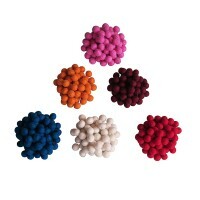 Creation Nepal felt ball & rug: buy fair trade handmade felt balls & mats ! 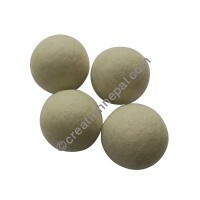 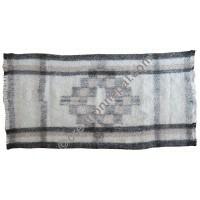 Nepali woolen felted ball and rugs are considered as the most popular handicrafts. 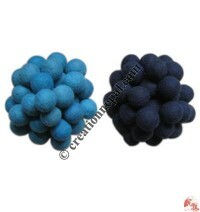 Creation Nepal, the manufacturers and wholesale exporters of various felt products since more than a decade. 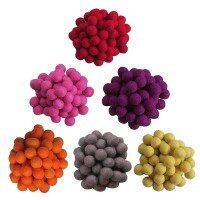 The colours that are used on our felt balls and felt rugs are AZO FFREE and the quality of felt work is superior. 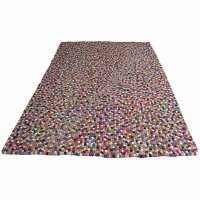 Various bright colors (inquire Creation Nepal's felt color chart) or natural colors combined felt ball rugs and felt ball mats are supplied at affordable wholesale price online. 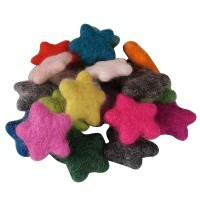 Along with the felt balls, rugs and mats, we also offer felt decorative items like beautiful felt star and felt hearts in different size and colors.